The much awaited test of an updated version of India’s most potent Advanced Air Defence (AAD) interceptor missile from a defence test facility off the Odisha coast on Monday turned out to be a fiasco with the weapon system falling immediately after taking off from the launcher. The indigenously built missile, dubbed as ‘Ashwin’ was fired from the launching complex – IV of the Wheeler Island at about 11.45 am and it was to intercept an electronic target within an altitude of below 20 km as simulated by the mission team to gauge the efficiency and killing precision of the improved version of the killer missile. Reliable sources at the test range told ‘The New Indian Express’ that the missile nose-dived within a couple of seconds after it took off from the mobile launcher. Though the missile caught fire which was later doused by the mission team, no major damage was reported. Indigenously developed by the Defence Research and Development Organisation (DRDO), the AAD interceptor missile is a single-stage missile powered by solid propellants. It is 7.5 metres tall and weighs around 1.2 tonnes. It has a diameter of less than 0.5 metres and the capability to kill incoming enemy missiles fired from 1,000 away. Although exact reason behind the ‘failure’ was yet to be known as the defence scientists were busy analysing data, DRDO officials were tight-lipped about the test. Director of Integrated Test Range (ITR) MVKV Prasad and Director of DRDO’s Directorate of Public Interface Ravi Kumar Gupta did not respond to the calls from ‘The Express’. Contacted, Director of Directorate of Public Relations (DPR) N Ao said the Ministry of Defence (MoD) is yet to get any information about the test result. “We have not got any official information from the DRDO which is supposed to intimate us regarding the outcome of the test fire. We are waiting for the information,” he told ‘The Express’ over phone from New Delhi. However, it was not the first failure of AAD interceptor. The missile had failed to hit the target missile directly during its test on July 26, 2010. Unfortunately the interceptor, which traveled only about 15 km, got itself detonated before reaching the target and had fallen apart. Later the target missile was destroyed by the mission team with help of the destruction button. Of the seven tests of AAD so far, five have been successful. 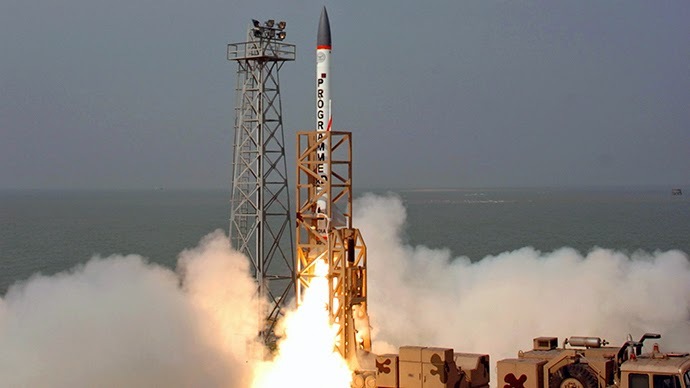 A similar planned test of AAD was put-off twice in mid-March 2010 and the mission was aborted due to some technical snags in the sub-system of the missile. But this fiasco turned out to be more embarrassing for the DRDO as the missile fell immediately after takeoff at a time when the country is planning to deploy the anti ballistic missile (ABM) defence shield in New Delhi within a year or two to safeguard the capital city from hostile attacks. 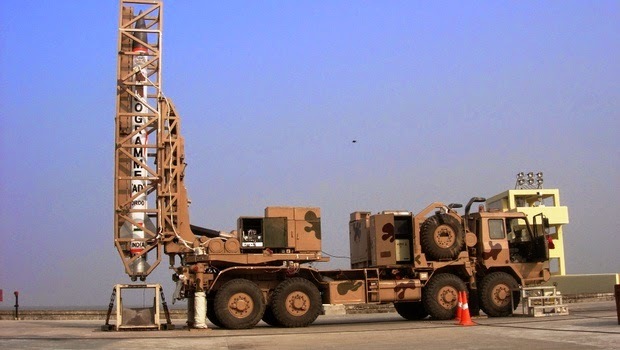 Meanwhile, sources said two Long Range Tracking Radars (LRTRs) jointly developed by the DRDO and an Israeli company having ranges of around 1,000 kms have been positioned in New Delhi and they are being integrated into the surveillance network of Indian Air Force (IAF). India has a Ballistic Missile Defence (BMD) system capable of tracking and destroying hostile missiles in both endo-atmospheric (below an altitude of 30 km) and exo-atmospheric (above an altitude of 80 km) region. However, the AAD test was aimed at developing a full-fledged multi-layer BMD system. This missile is considered as similar to the American PAC-3 system in terms of range and altitude of interception. It is a solid rocket propelled guided missile equipped with an inertial navigation system, a hi-tech computer and an electro-mechanical activator totally under command by the data up-linked from the ground based radar.